They are found in dry woods and on rocky hillsides. These tall, showy wildflowers bloom in late spring through early summer. 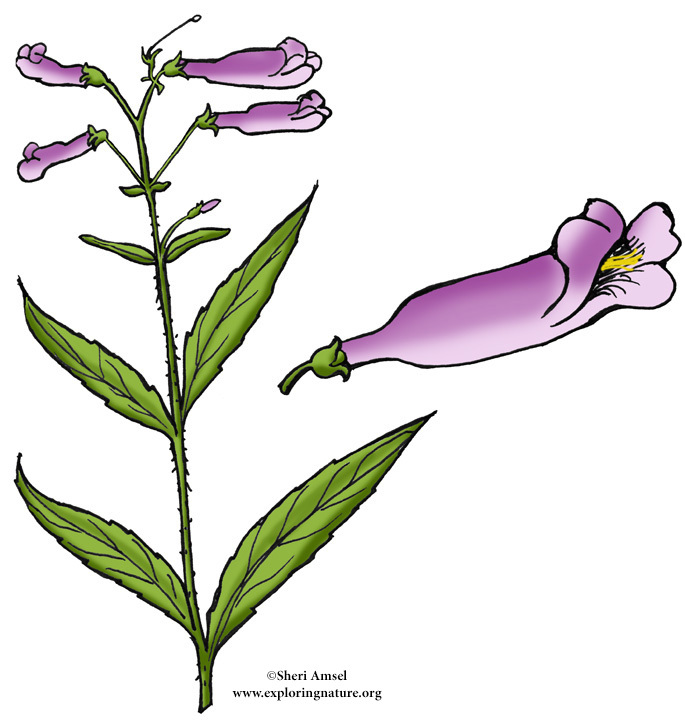 Look for the light purple flower with whitish lips and the hairy stem.